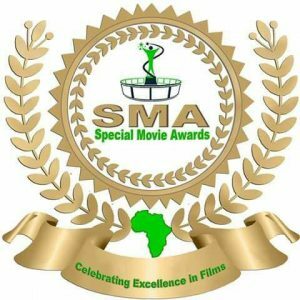 In a bid to recognise and award outstanding personalities in the movie industry, the first-ever movie award to take place in the Smiling Coast of West Africa, dubbed Special Movie Awards (SMA), is scheduled to take place on 30th September, 2016. This was disclosed recently during a press conference held at the Joint Officers Mess, in Kotu. Sheikh Tijan Sonko, Producer of the SMA, revealed that his association is a platform to recognise vibrant talents in the film industry, especially those who are doing their very best to take the nation’s entertainment industry to standard. He added: “It starts with appreciating the quality work the film makers are doing in diverse areas.” Amadou Sillah, Advisor of SMA Committee, emphasised that SMA is building a structure that will continue to recognise committed and hardworking people involved in the film and movie industry. To have a working movie industry, he opined, involves movie awards, TV channels, magazines, but that it comes down to sustainability, which he believes, with their dedicated team and the support of the people they will get there. Frankline Adim, Programe/Award Coordinator remarked that the SMA 2016 awards will be a night of glitz and glamour to celebrate movie makers in The Gambia. According to him, SMA 2016 will be giving fifteen awards, forty-five nominations and ten honorary awards that will be screened by both national and international judges. According to SMA members apart from the trophy, awardees will have certificates and prizes will also be given to winners. The event will be a bi-annual event in the country, and they are open to sponsorship and partnership. By Alpha M Kamara Source: The Daily Observer Newspaper The Gambia. (Next Post) Finally Zack Orji is BACK!